Have fun, connect, share knowledge and build friendships! Do not broadcast sound files or have music in the background. Deliberately destroying other players work is not allowed. We use a plugin which allows players to claim areas to prevent others from doing this. However, if you discover an area that is unclaimed but is clearly someone’s work, you must report it to a team member and not destroy it in any way. Creations which might impact on server performance (e.g. large redstone circuits or mob farms) should only be built with permission from Minecraft Team. Use of WorldEdit that impacts on server performance is not allowed. Abuse of server mechanics, exploits, glitches, or bugs (including X-ray, Kill Aura, Rei’s minimap etc.) is not allowed. Hacked clients of any kind are not allowed. OptiFine, shaders and texture packs are allowed. Intentionally trying or succeeding in killing a team member in pvp-games is not allowed. Deliberately not trying to win pvp-games and try to frustrate or ruining the game for others is not allowed. Teaming in pvp-games which don’t allow teams and cross-teaming is not allowed. Advertisement of other servers is not allowed. Selling/trading Minecraft accounts or other transactions involving real-world money for virtual items is not allowed. Impersonating or pretending to be a ScoutLink Minecraft Team members and other players is not allowed. Spamming commands are not allowed. Inappropriate/sexual/explicit skins, usernames, capes, builds etc. is not allowed. If you trust other people on your plots or claims then you are responsible for what they do. You are responsible for your own account, even if a friend or family member borrow it. This means that an operator (also known as a moderator or ‘op’) has removed you from the channel for a specified reason. A kick is not permanent and you will be able to return to the channel. You should make sure you know what you did wrong before returning, and read the rules again or ask the operator who kicked you. If you continue to break the rules after being kicked, this will result in a channel ban. This is normally used alongside a kick at the same time. A ban prevents you from rejoining the channel for a specific length of time which will normally be stated in the kick message. A ban will give you time to think about your behaviour in the channel. If you get a message like this, this means that the Operator has closed your connection to the network. Check the ‘kill’ message to find out why you have been disconnected. Kills are used for repeated rule-breaking after multiple warnings, or as a first sanction in exceptional situations. If you see something like this when you try to connect, this means that you were banned from the whole Scoutlink IRC Network. Such a ban is only used if you repeatedly break the rules or for extreme behaviour. This is an automated ban. We use a blacklist for TOR exit routers, which is a specific type of connection that people use to get around bans or restrictions. We do not have the ability to make exceptions to the blacklist. For more information about TOR see https://www.torproject.org/about/overview.html.en. Contact your system administrator to obtain more information or for another way to connect without being banned. This is another type of automated ban. We subscribe to a blacklist of computers which are known to engage in malicious activities or are infected with malware (known as a ‘botnet’). You should thoroughly malware scan your computer and follow the instructions in the link. Please note that the link in the G-line reason is unique to you, as it will contain your IP address. If you have been banned and would like to appeal against it, go to scoutlink.net/banned and fill out the form, and then the relevant person will contact you about the ban. If you are still unhappy after this, you can ask for your appeal to be passed to the ScoutLink Council. Decisions made by the Council are final. 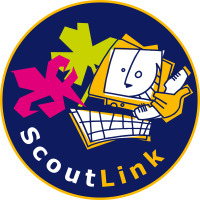 If you have a complaint, go to scoutlink.net/contact, select “help@scoutlink.net” from the drop-down, and fill out the form. We will get back to you as soon as possible. If you are still unhappy after this, you can ask for your complaints to be passed to the ScoutLink Council. Decisions made by the Council are final. For any safeguarding questions or concerns please contact safeguarding@scoutlink.net and see scoutlink.net/safety for more information.